Oracle is planning to open a UK datacentre dedicated to serving government IT through G-Cloud. The news follows the government's cloud-first policy announcement, mandating that G-Cloud is considered as first choice for all new government IT spend. Oracle president Mark Hurd said the move was significant for the company. "The UK government is one of Oracle's biggest customers," he said, speaking at a roundtable meeting at Oracle’s CloudWorld in London. Dermot O'Kelly, UK country manager at Oracle, acknowledged there was a risk in moving to a new model for the way Oracle does business with government, but said it was important the company did not become complacent. "The government is challenging suppliers, and it is right that it is, as it has got to get value for taxpayers," he said. "The cloud is a great option for government, which is why we've opened a datacentre," he said. Hurd added: "There is risk every day, we've got to earn customers every single day – if we don't, we'll get replaced." What is G-cloud (government cloud)? However, government IT reformers have previously criticised companies Oracle for providing the government with costly IT models, such as former G-Cloud head Chris Chant. The datacentre will be compliant to business impact level 3 – the classification used for restricted information – and will open in the Thames Valley in July this year. It will also be available to independent software suppliers. Oracle has one existing datacentre in the UK, and has recently opened new datacentres in Latin America, Asia and Europe to ensure it has a local presence to allay concerns around security and sovereignty of data in the cloud. 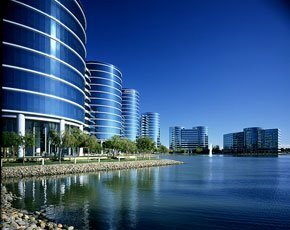 Oracle rival Salesforce.com has also announced that it will open a UK datacentre dedicated to serving the government's G-Cloud programme in 2014. Asked whether the trend of enterprises moving away from large, transformational enterprise resource planning (ERP) projects was of concern to the company, Hurd said: "I wouldn't do a large ERP transformation project myself." He said there were probably some greenfield ERP opportunities in the market, and some old ERP projects that need replacing, but existing customers generally want to add modules of new capability and take advantage of private cloud architecture, rather than starting entire new projects. Oracle's strategy is moving from a capital expenditure sales model to an operating expenditure sales model, according to Hurd. "We think this is the right thing to do in driving the market forward," he said. This special report from Computer Weekly reveals everything you need to know about Oracle, from its products to licensing and development. Hurd said the company had $1bn of cloud subscription revenues, adding that its cloud revenue had grown significantly, while its licence revenues had remained steady. "We are agnostic towards [how we generate revenue] – we see it as part of one ecosystem of intellectual property. Whether it's licence or cloud subscriptions, it is not something we are concerned about."